Sometimes, because life is moving so quickly and I get so caught up in the day to day, I forget to sit back and realize how lucky I am to live the life I do. 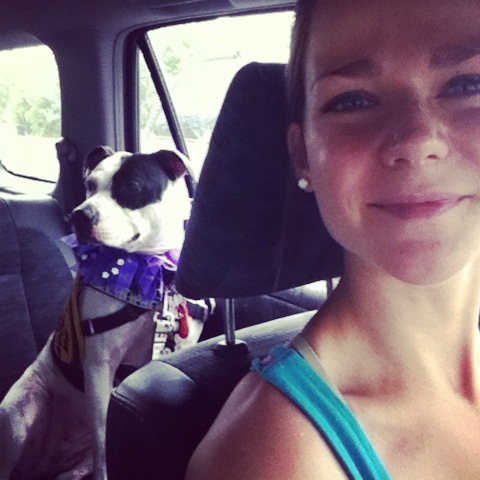 It seems like the grass is always greener when it comes to fostering – when I have a dog I miss the freedom of not having one, and when I don’t have one I really, really want one. This weekend made me realize that I need to embrace the fact that I am in the position to have the best of both worlds right now. Working at an animal shelter (or volunteering, as the case may be for most people) allows you special opportunities to help homeless animals even when you cannot bring them into your home. This past weekend I enjoyed the best of both of my worlds. 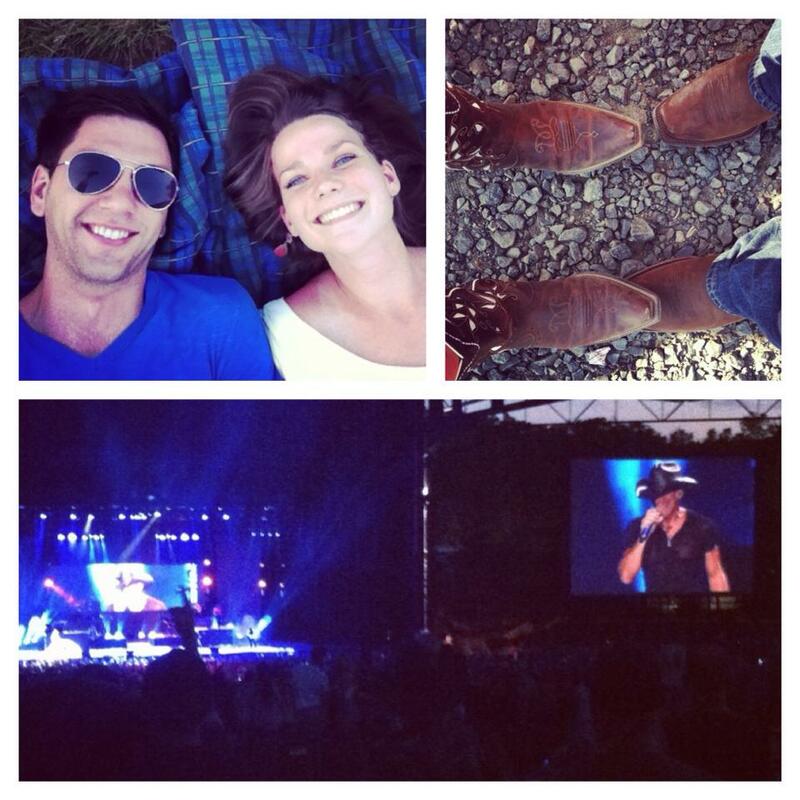 Mark and I spent Saturday at a Tim McGraw concert (any country fans out there? this was my fourth time seeing him and every time it gets better and better!). Then Sunday it was back to focusing on the four legged tail-waggers that make my heart beat. I’ve written about it before (in my pre-teaser teaser for Johnnie! 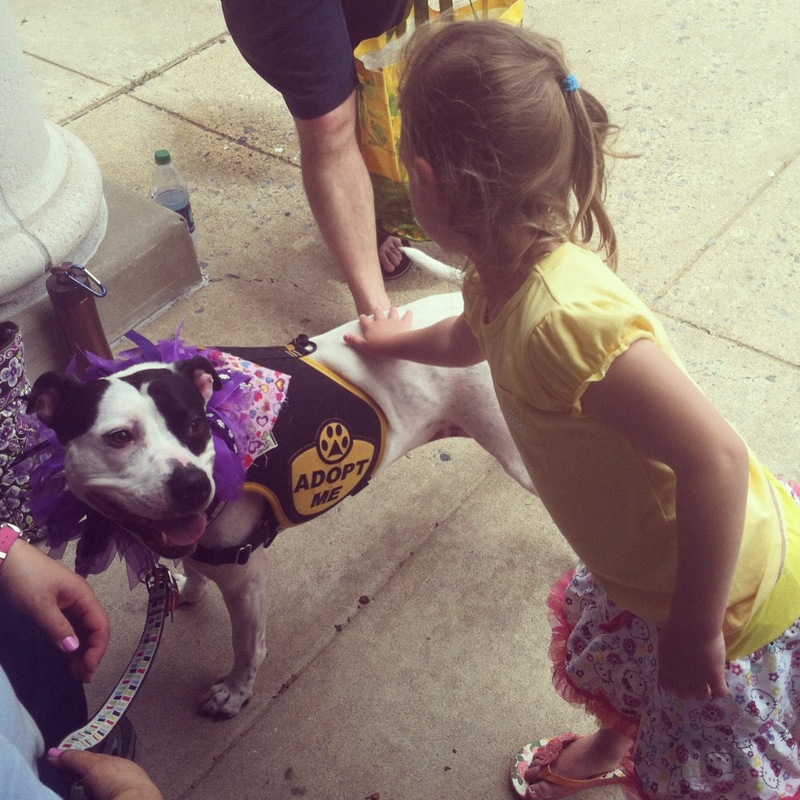 ), but I absolutely LOVE spending time at adoption events with great people and dogs. 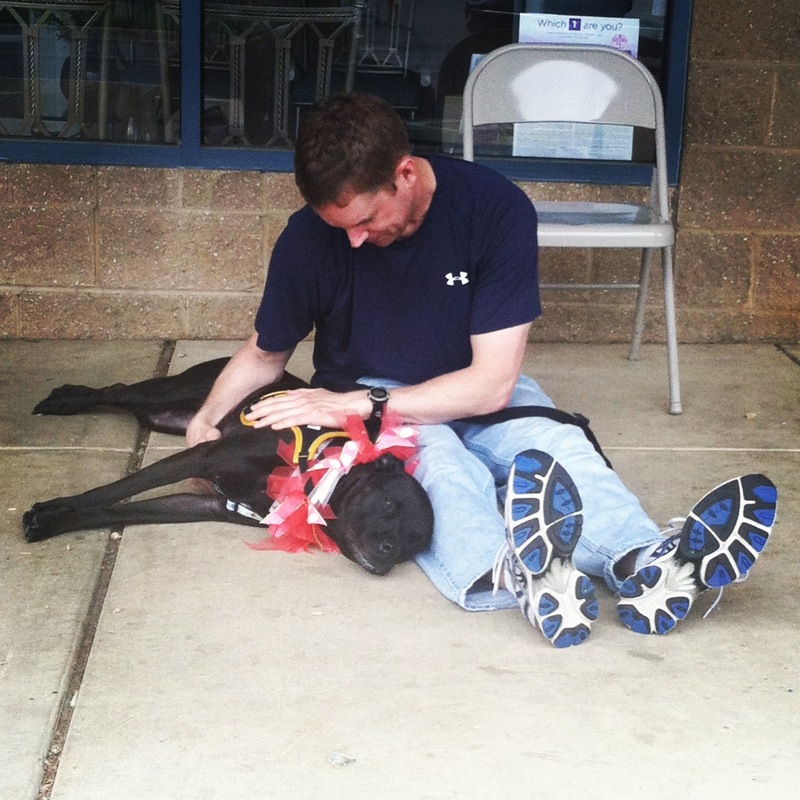 These events actually don’t always bring a huge amount of adoption interest for our dogs, but the day out of the shelter is totally worth it. Watching the dogs soak up the fresh air, new sniffs and attention from strangers is priceless! 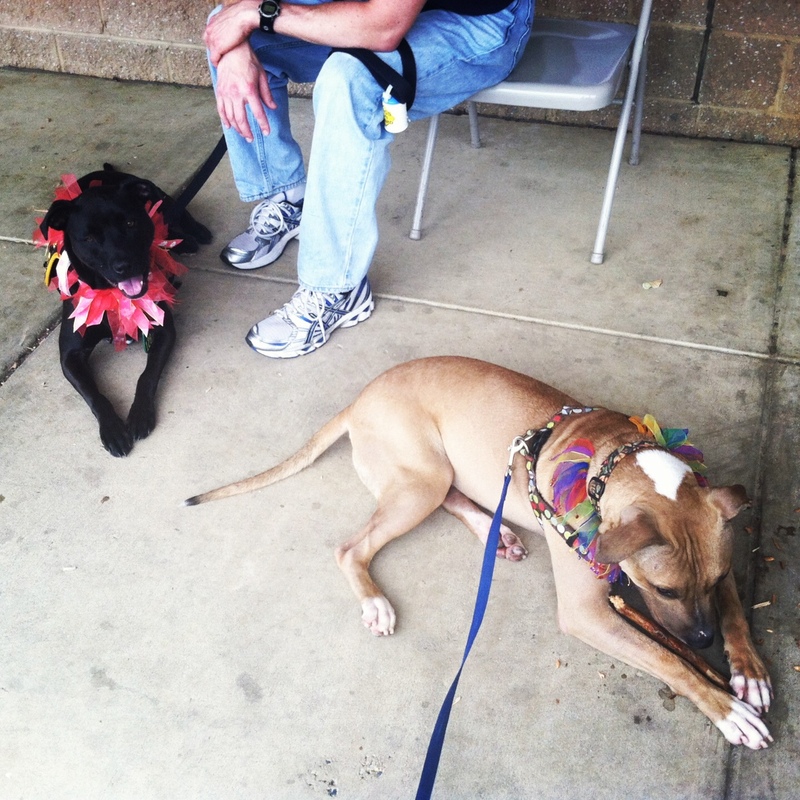 These events started small but thanks to the hard work of some dedicated volunteers, we were able to take nine adoptable pit mixes to the event this time around to enjoy a field trip into the real world! 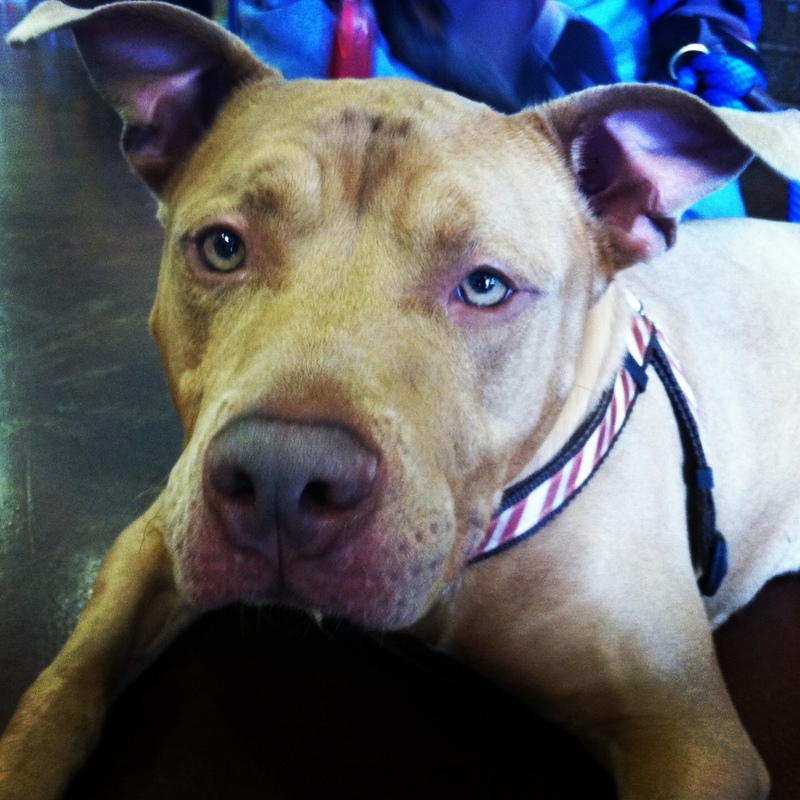 I fell in absolute love with the dog I brought, an adorable four year old female named Jayla. I’ll be gushing about her in tomorrow’s post – check back then if you want more of this ADORABLE smile! 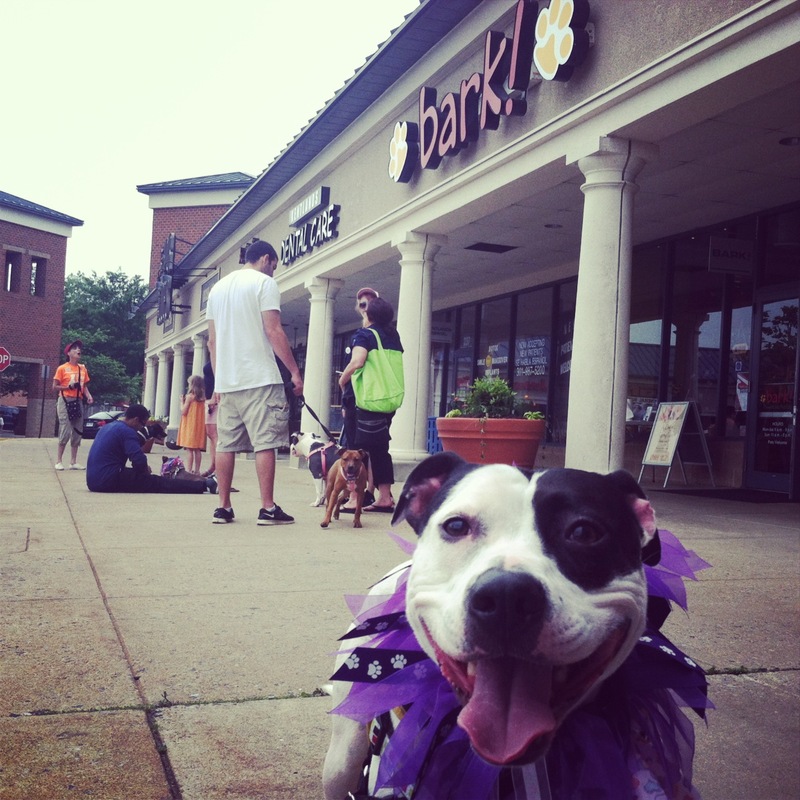 This entry was posted in Dog talk, Rescue/Humane Society and tagged adoptable pit bulls, adoption event, bark, dogs available for adoption, humane society, increasing pit bull adoptions, volunteering. Bookmark the permalink. Seriously, you (and those big, wide, happy-go-lucky smiles) make me pretty much beg hubs for another fur-baby!